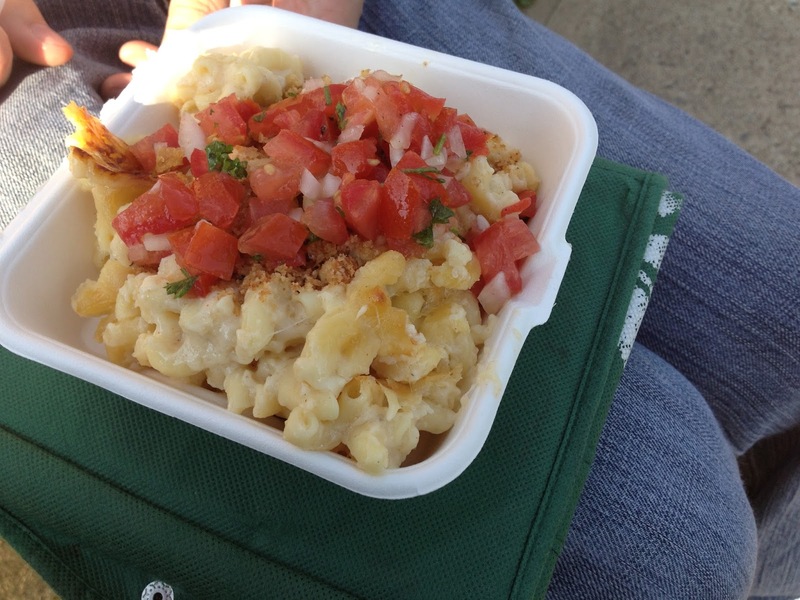 It appeared that I was probably the last person I know to try Nomad Mobile Kitchen. Although I had heard how fantastic their Crack and Cheese was, I hadn’t had much opportunity to try them out until 124 St Grand Market opened up. Naturally I knew I had to order the much talked about Crack and Cheese, and hoped that they lived up to the hype. I realized after taking my first bite of the gooey, warm, Gouda cheese ensconced pasta that I was hooked for life. The crackly crunch, and mild saltiness of the pork cracklings on top sealed the deal. The fresh tomatoes added a refreshing and juiciness, while the crisp onions gave each bite a kick as I greedily scarfed it down. 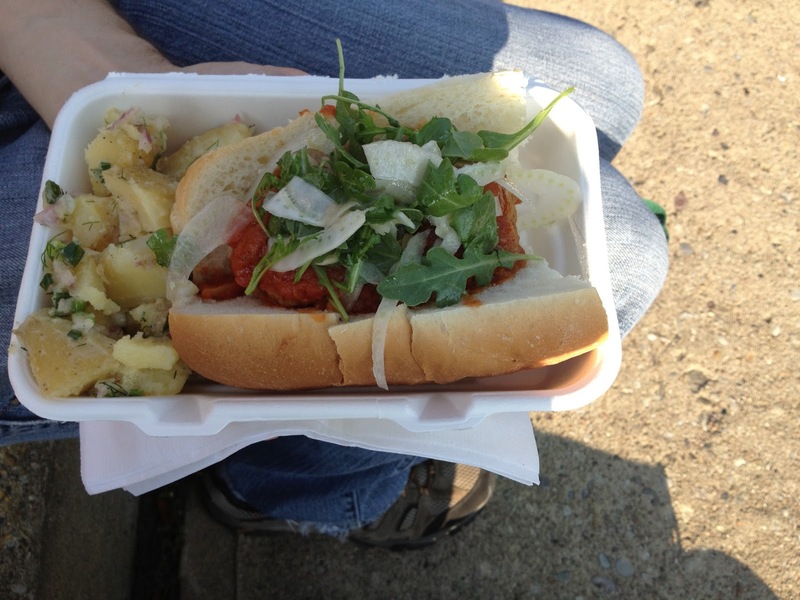 The meatball sub with marinara sauce, argula and side of potato salad was equally as delicious. The humans enjoyed, as they described it, melt in your mouth meatballs, topped with a delectably fresh marinara sauce. Meanwhile, I was falling in love with the very dilly tasting potato salad, reminiscent of Ukranian potatoes my male human makes. 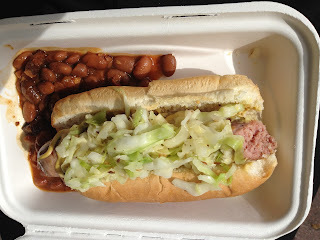 Their house made, grilled pork sausage, topped with caraway slaw, mustard, served in a bun was juicy, slightly spicy, and full of flavor. The grainy mustard complimented the sausage well, and the slaw was refreshing. Overall, everything I’ve had at Nomad Mobile Kitchen has been fresh, flavorful, and amaoozingly tasty! I can’t wait to visit them again!